Superior has created all the accessories your natural gas fireplace needs to ensure you have the most real looking wood burning aesthetic. 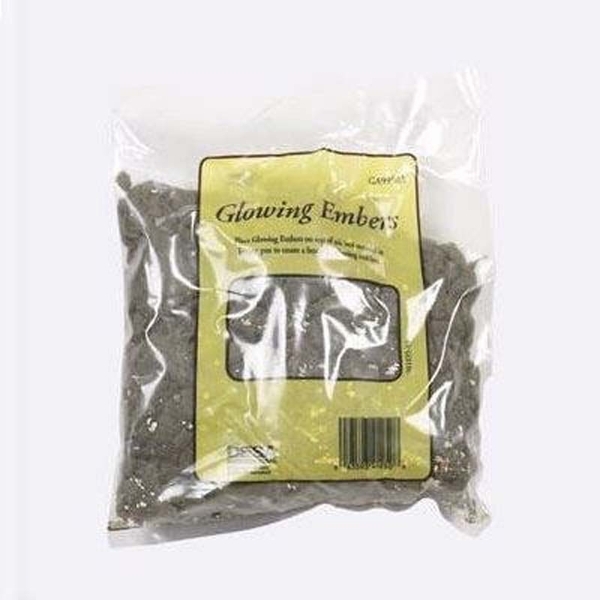 These Superior glowing embers are one of the perfect accessories that lay along the bottom of your fireplace, ensuring the look and feel of the fire as if wood was burning within its walls. The glowing embers add an ash look to your fireplace, mimicking the disintegration of wood logs. Ensure that your ash is properly vented and only used with a vented gas log accessory, perfect addition to Superior's vented gas logs. Will rain or snow ruin the embers in an outdoor fireplace? Rain and snow will indeed have a negative effect on the embers glowing properly, as well as affecting flame pattern. How many ounces does this include? Approximately 6.4 oz. are included, which is all that would be needed to separate and place the product atop a vented gas log burner.